The Spaniards took over mining operations from the Indian tribes in the mountains near Taxco, state of Guerrero, country of Mexico, in the 1600s, when the Catholic monks began building the Spanish style rock churches in the mountain villages. From the years of the 1600s, the systems of record – keeping have evolved, and now GPS satellites and computers are used for the planning of the operations and development of ancient mines and modern mines. Taxco ( pronounced tasko ) is one of the most famous silver mining areas in the WORLD, and has some of the best silver shops in Mexico, ranking on par to the silver shops in the Pink Zone of Mexico City and probably more silver than in Dubai. The state of Guerrero is bounded by other Mexican states, including the State of Mexico, the states of Morelos, Puebla, Oaxaca ( pronounced "wahaka"), and Michoaca(h)n reaching the Pacific on the West. The state of Guerrero reaches the Pacific, has modern cuota roads with no strictly imposed speed limits ! up to 180, airports, and wired and wireless communications. Agriculture, mining, and tourism are important income-generating industries for the state of Guerrero. Acapulco is one of the most famous ports and tourist cities in the state of Guerrero, Mexico. There are others, too, of course. Getting to Mexico City and / or Toluca, the state capital of the State of Mexico, is easy. Interjet is a very good airline with new features and good prices. Hotels are plentiful, modern and clean for $75 USD per night, so all you need is your passport, a couple of hundred cash, a credit card, an overnight bag, and a friend. Discounts are offered for two adults at most places, as well as discounts for senior citizens. See on the following page the map of the state of Guerrero, Mexico. Mining in Mexico has a history spanning from the early 1500s until today in the 2010s, more than 500 years. 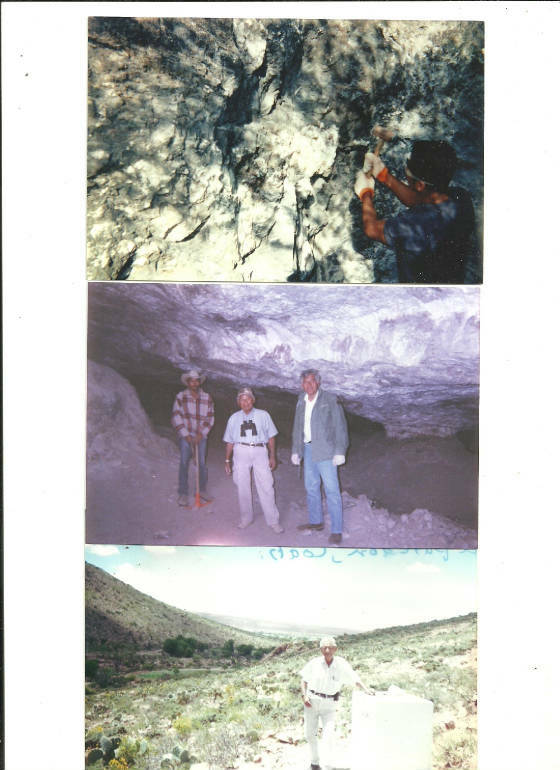 Of course, some mines have been very successful, and other not so successful, for various reasons, including heavy rains, storms, fluctuations in the sales prices of minerals, fluctuations in the costs and availability of machinery, socio-economic changes including costs of labor, marketing changes due to competition from other states in Mexico, and mines in other countries, etc. Lady Luck also plays an important role in successful mining, and a savy miner knows how important it is to follow the ore vein, in spite of the complex geology, topography, and local economy. There are many mines in the state of Guerrero, Mexico. Depending upon the mineral you want to invest in, you can find many opportunities to associate with a mining company as an investor. It is not so easy to “strike it rich” on the first mine you invest in, even if you study it a long time and are as careful as possible. In my view, the investor’s luck depends more on who he / she “gets in bed with”, than many other factors. Even so, today in June 2013, due to the tremendous advances in technology; small companies with advanced technology and the technical experts who know how to use it, have more chance of making big ROIs than big companies with 8 to 5 employees who do not answer the telephone during business hours, letting cold calls roll over to the menu computer answering voice, be it male or female computer voice. A small investor trying to call a big mining company better go to the beach and have some fun. and let us know HOW MUCH you want to invest as a “sophisticated international investor” with “buyer beware” excitement, and we will get back to you soonest. Therefore, a reasonable Qualifications Matrix should include the educational and experience qualifications of the major players and company officials who are the team leaders in the mining company. for each category "a" throug " j "
Individuals with advanced technical skills can now make a Mining Qualifications Data Cube by mine, by company, and other criteria, and easily calculate a numerical comparison score relatively quickly. These methods are acceptable scientific methods for estimating Risk and Probabilities of High ROIs. See the Wiegand Theory of Risk Analysis as applied to petroleum exploration and mining ventures. Go to Blockbuster and rent the classic mining movie with Humphrey Bogart called "The Treasure of Sierra Madre", filmed partly in Tampico, Mexico, during the 1950s, I think. The famous bar at the entrance to the Port of Mexico took the bronze placque off the wall several years ago. Tampico is a very modern city now.